Take the 405 North to the University/Jeffrey exit. Left onto University (it’s Jeffrey if you go right). Go past East Peltason Drive. Go Left onto West Peltason Drive (taking you into UCI). Left into the first structure on your left, which is a parking structure (parking #4 on a UCI map). 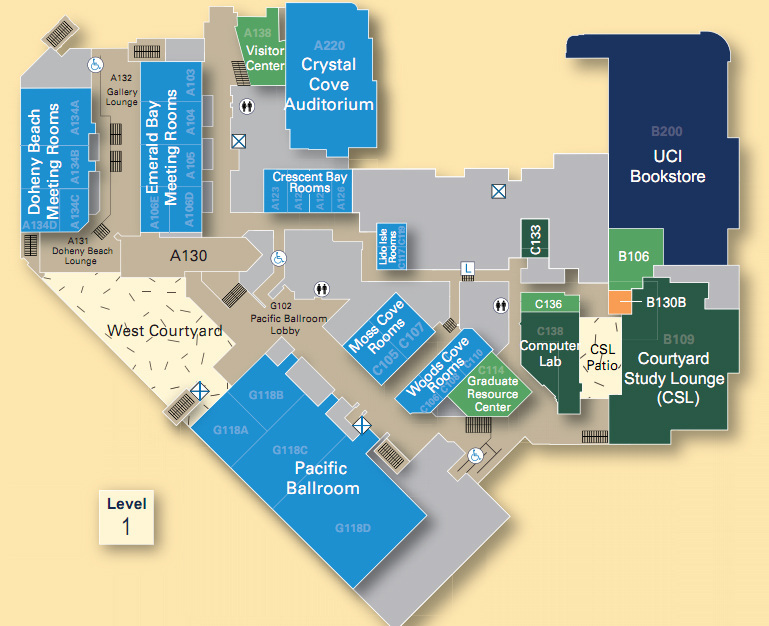 The Student Center (building #113 on a UCI map) is directly across the street from the parking structure. Take the 405 South to the Jamboree exit. Right onto West Peltason Drive (taking you into UCI). Student Center Parking Structure is the closest parking structure to the Student Center. Registration will be at Pacific Ballroom!